Thickness measurement devices are relied upon in order to measure the thickness of samples, manufactured products and coatings for tools. 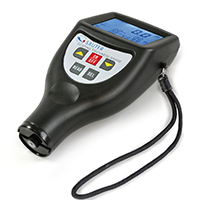 They are incredibly durable products that are used to convert sample thickness into a measurable output. The Measurement Shop offer a wide range of thickness measurement equipment including professional coating thickness gauges used for measuring the coatings of medical and industrial tools such as drills, surgical knives and dental implements, as well as, ultrasonic thickness gauges for non-destructive, in-depth analysis of sensitive materials such as ceramics, plastics and fibreglass. 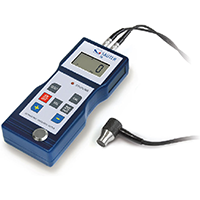 We sell products by leading European and Canadian measuring product manufacturers, Kern and Reed Instruments, therefore we are confident that we have some of the best thickness gauges and meters available. If you require any help choosing a product to suit your requirements please contact us.